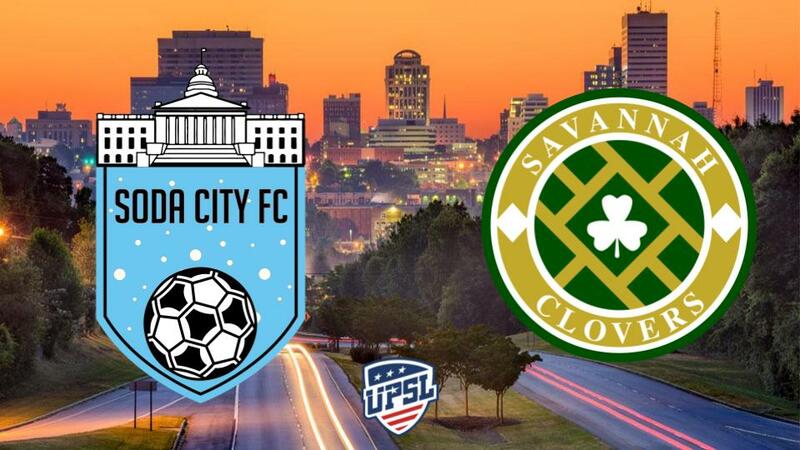 Columbia, SC - The Savannah Clovers suffered their first loss of the UPSL Fall Season with a 4-2 defeat to Soda City this past Saturday. The Clovers defense took a hit in the 20th min when Defender Brion Kelly was substituted off for an injury. Arthur Bello Veiga, who came on for the injured Kelly, scored in the 29th min putting the Clovers up 1 nil on the road. Soda City failed to clear their lines and the Clovers took advantage with Veiga scoring at close range. The end of the first half would be eventful as Soda scored in the 45th min and the Clovers were reduced to 10 men after Veiga was issued a red card in stoppage time. 1-1 at the half. In the 55th min, Soda would find themselves up 2-1 after a Mitchell Robert goal. The Clovers would pull on back in the 67th from a spectacular free kick by Henry Bane. 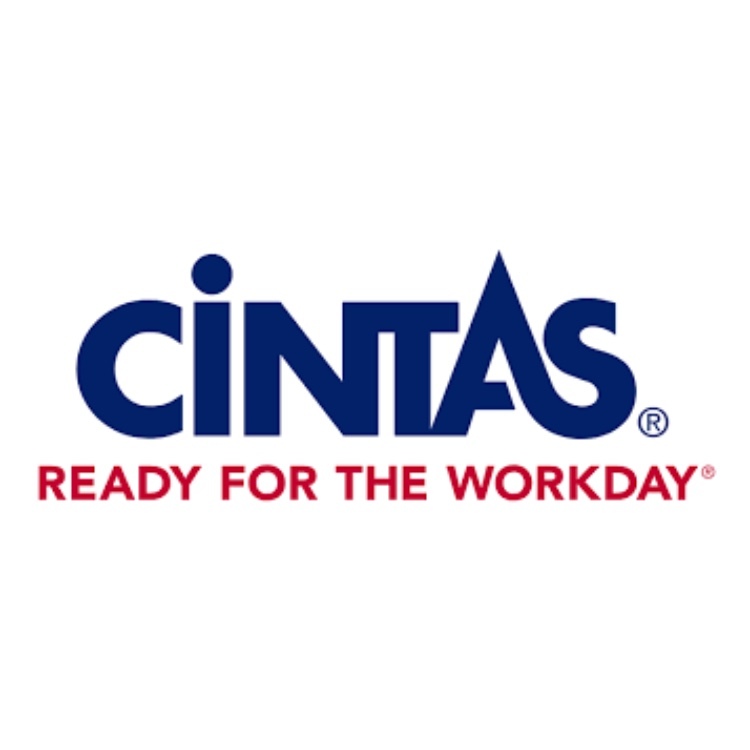 An effort that has been nominated for UPSL GOAL of the Week. Vote for Bane’s goal here. Unfortunately for the Clovers, Soda would put the game away with two more goals in the 74th and 81st min of play. Soda City’s win placed them firmly on top the standings with 12 points. The Clovers maintain second place with 9 points. The Clovers will be on the road again this Saturday in Concord, NC to take on 6th place Broncos UTD FC. 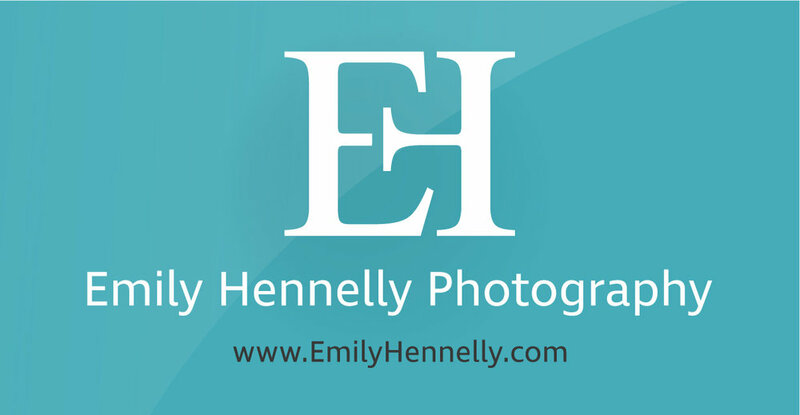 Be sure to follow the Clovers on social media, like and follow on Twitter and Instagram. Don’t forget to join us on November 4th as the Clovers return home to Memorial Stadium to take on Sparta 20/20 FC. Tickets now available! Savannah, Ga - A pivotal match in the Mid Atlantic South Division takes place tonight in Columbia, SC. The Savannah Clovers will travel to the South Carolina Capital to take on Soda City FC for the first time. Both clubs are sitting on a maximum 9 points with 3 wins respectively. Given the competitive records and overall hype of the game, this match up has garnered UPSL Match of the Week from UPSL Hub. See what Coach Menke has to say about the match here. Saturday’s match in Columbia marks the beginning of a 3 game road trip. The Square City Club will then travel to North Carolina twice to take on Broncos UTD FC and Union FC before returning home to take on Sparta 20/20 FC. Tonight’s match kicks off at 7pm and will be live streamed on Mycujoo. In other news, our own Arthur Bello Veiga won UPSL GOAL of the Week for his Volley against San Lee FC. Veiga’s goal won with 44% of the vote with 163 votes total. Check it out here. Savannah, Ga - The Clovers moved onto 9 points on the season after a 3-2 win at home over San Lee FC. Chris Kruger made his Clovers debut in styles, notching a goal and assist in the first half. Timo Mesa got things going in the 6th min of play. A ball played out the back by Erick Salaises found Kruger flying up the wing towards goal. Kruger kept his head up and was able find Mesa in the box for the first goal of the match. In the 28th min, Kruger would again find himself getting on the end of a long ball. This time, beating his man and slotting the ball to the far post past the San Lee Keeper. 2 nil, Clovers. The moment of the match came in the 66th min of play. The Clovers counter attack was capped off by a stunner of a goal by Arthur Bello Veiga, a goal that garnered a UPSL GOAL of the Week nomination. San Lee’s corner opportunity was broken up which led to a 3 on 1 counter. Veiga volleyed home a banger from outside the box, giving the San Lee Keeper no chance. San Lee would fight back and keep up the pressure on the Clovers, scoring in the 81st min. The pressure from San Lee would continue and made it that much more interesting in the 90th min. Sergio Romero-Vivas’ individual effort flashed into the upper 90 of the goal, beating J.W. May. The match would end with the Clovers taking all three points ahead of a pivotal top of the table clash with Soda City FC this Saturday. The Clovers will return home to Memorial Stadium on November 4th as we #DefendMemorial against Sparta 20/20 FC. Tix available! 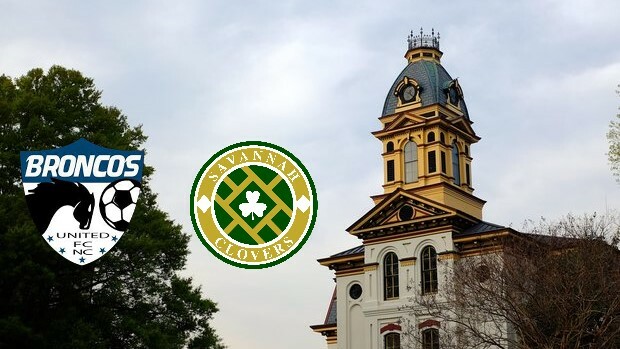 Savannah, Ga - After a 2-1 road win in Spartanburg last Saturday, the Clovers return to Memorial Stadium to take on San Lee FC this Sunday. 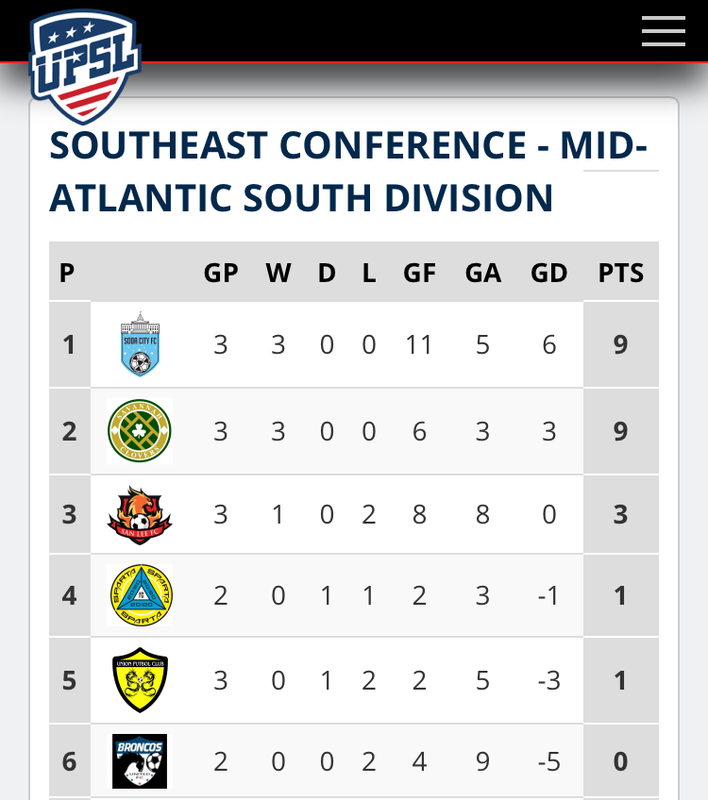 The Clovers are currently in 2nd place in the UPSL Mid Atlantic Southeast Conference with 6 points. San Lee FC sits in 3rd place after earning their first points of the season with a 4-2 home win over Broncos United FC. The next two matches represents a pivotal stretch that could determine where the Clovers finish in the regular season. Be sure to join us this Sunday to cheer on the Clovers! The day full of soccer starts at 1:45pm as CFC2 takes on Hilton Head Wanderers, Live Stream available. Savannah Clovers v San Lee FC kicks off at 4:30pm. Wear your green and #DefendMemorial! CFC2 V Hilton Head Wanderers @ 1:45 PM EST. SAVANNAH CLOVERS V San Lee FC KICKOFF @ 6:30PM EST.